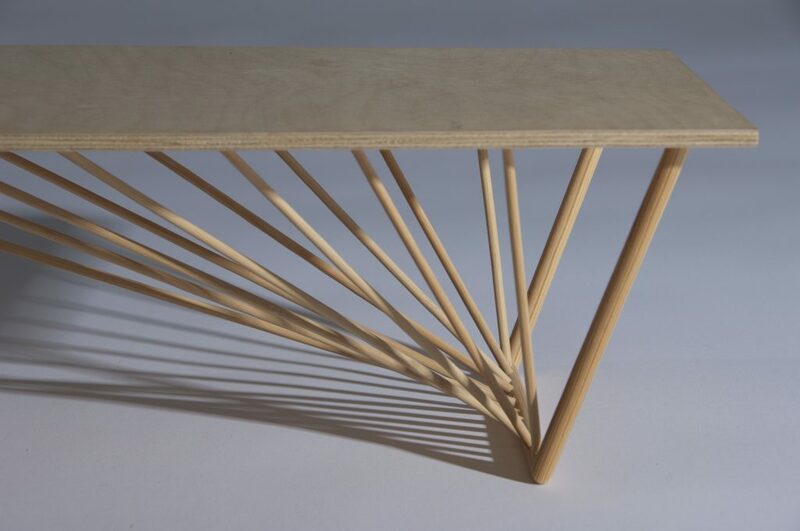 The Bridge, a table with a length of 3.6 m is designed with inspiration from suspension bridges. 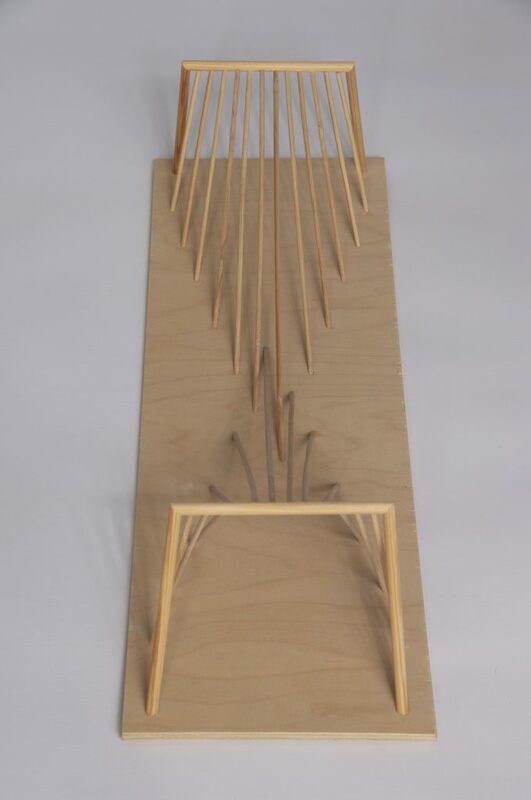 The bearers underneath the tabletop creates an interesting pattern and at the same time supports the table and maks it steady. The table is intended as a buffet table you stand by or view the table’s base from a distance.